Will you accept this rose? Look at that! 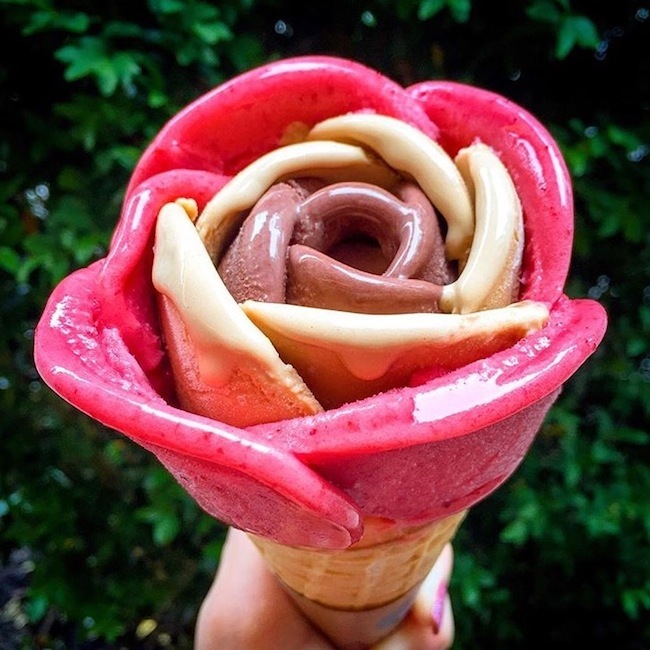 Amorino allows you to create a rose with as many flavors as you want. 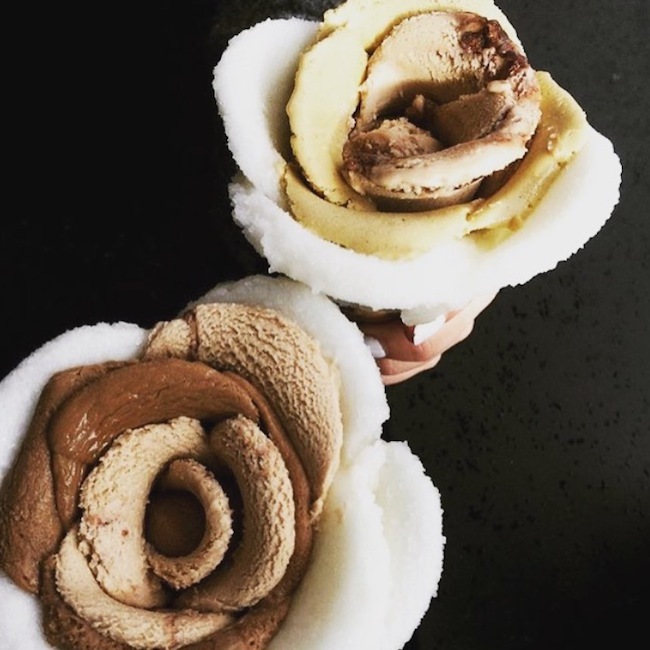 Each petal is made from gelato or sorbet. This is art baby! They also have gelato filled macaroons that are scrumptious. The raspberry macaroons are my fave. 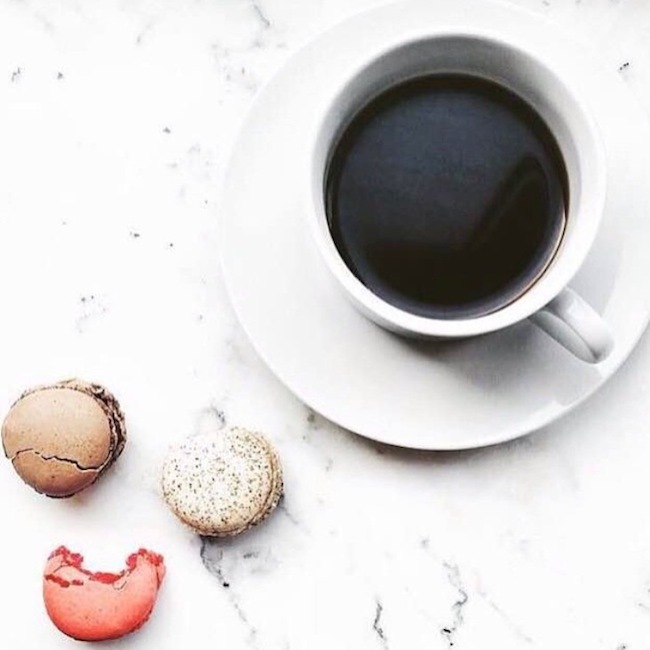 A little sweet, a little tart, and just the right dose of sugar to accompany your coffee. PS. They also make great after dinner treats to serve your guests….if your kids don't get to them first! Mmhhmm. HA. I love gelato in the summer. Ice cream is heavier and I prefer it in winter when I'm hibernating. But gelato has that icy texture, and Amorino has so many tart flavors, which is what I crave for in the summer. Ahh…REFRESHING. 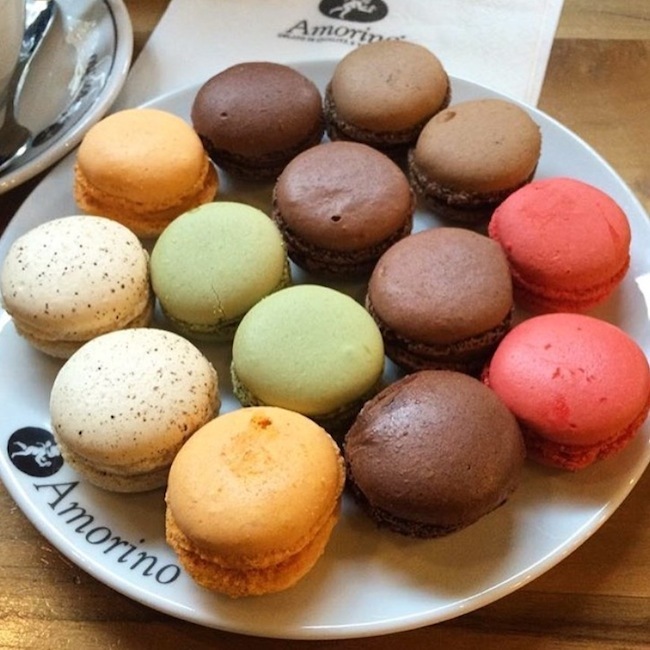 You can cool off with Amorino in a handful of locations around NYC, otherwise check their website because they are in quite a few USA cities and all over the world. May be closer to you then you think!